For the Honeywell HTF7000 series engine model, there are a number of Service Bulletins that have become hot items. 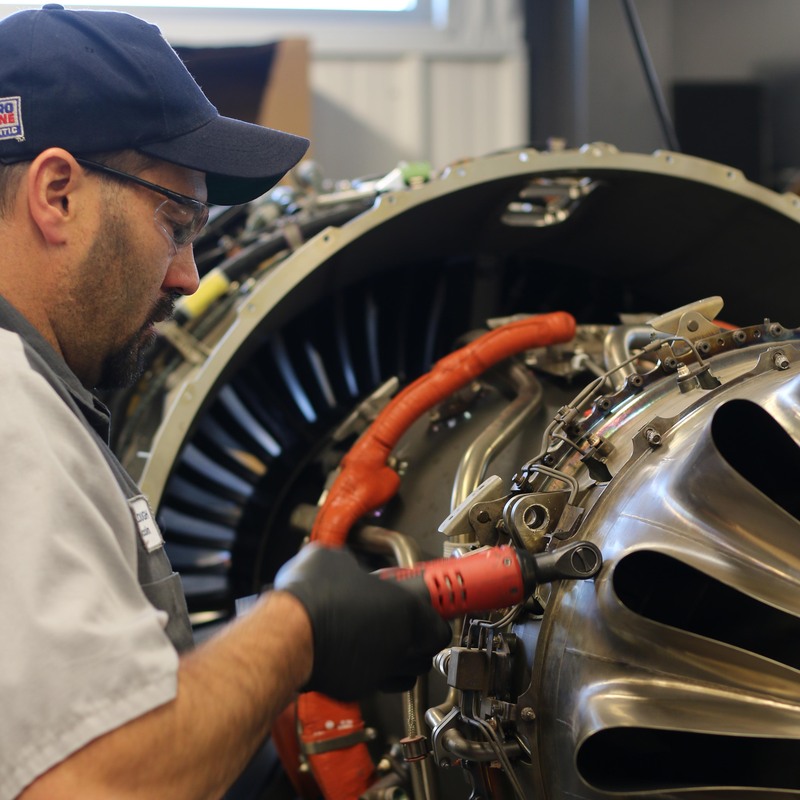 These can be accomplished at our Turbine Engine services shop in Lincoln, Nebraska, or any one of our Engine Rapid Response locations across the United States. Issued on May 13, 2016, this SB addresses the possibility of water entering the ECUs (Electronic Control Unit) after the aircraft is parked in the rain for an extended length of time. This may lead to unscheduled maintenance and expenses, aircraft dispatch delays, Loss of Thrust Control (LOTC) events and the possibility for inflight shut downs. This is a CAT 1 SAFETY SB meaning it may require urgent action and may be associated with an FAA AD (Airworthiness Directive). Compliance is recommended to be within 400 engine operating hours or 18 months from the date the SB was issued. This SB was issued to address instances of corrosion and pitting found in the inner and outer bypass ducts and supports. This SB will inspect and evaluate the corrosion and pitting of the FWD and AFT Ducts as well as the Core Cowls. If corrosion is noted, we will perform a repair to add a coat of paint as a preventive barrier for future contamination. Because this SB requires the removal of the forward and aft outer fan bypass duct(s) and mid and aft inner fan duct panels, it should be scheduled during a maintenance event that will have the aircraft down for 7 to 10 days. I recommend accomplishing SB AS907-72-9044 at the same time, if applicable and you meet the required interval per the bulletin. Another good time to schedule this bulletin is during a 4000 hour digital borescope inspection. If repairs are noted from the borescope, most of these ducts and panels would be removed for the repair of the hot section components. The SB replaces the engine combustion chamber assembly. I recommend you have this SB accomplished at the same time as the previous SB mentioned (SB AS907-72-9064), if applicable and you meet the required interval per the bulletin. Most of the same panels and ducts need to be removed for both. This SB changes the location of the W5 & OSSD (Overspeed Shutoff Detector) wire harness to increase its reliability and prevent failure in the high-heat environment in the engine.